Our winery produces unblended fruit wines strictly from Alaskan grown fruit, which makes our acclaimed collection some of the best in the world. 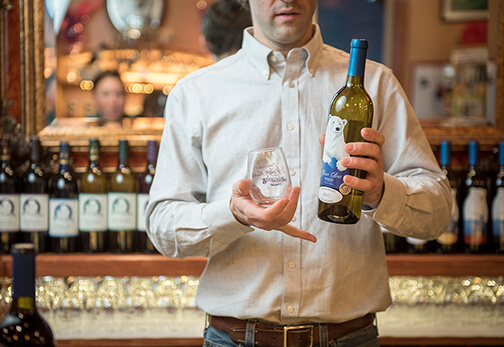 Glacier Bear Wines are Alaska’s leading unblended fruit wine, receiving national and international acclaim for its unwavering loyalty to creating wines from Alaskan grown fruit. Our wines showcase the unique character of our rich and wild terrain with ingredients sourced entirely in Alaska soils. We are proud to provide an unequaled tasting experience as a result of our efforts to promote a thriving community, with berry purchasing partnerships and hosting events to support various causes; All the while, leading the way in sustainability practices, such as reduction of energy consumption and water conservation. We also implement a wide range of winery recycling, where we reuse our wine bottles that are dropped off at various dispensing stations around our local town in Homer. Here at Glacier Bear, we are excited to re-envision what wine can be and to represent the best of Alaskan wines. Whether you are just visiting Homer or are a local, our wines have people coming back to try our new and seasonal wines, as well as to stock up on their favorites. Experience the complex taste and joy of sipping on wines made purely with Alaskan fruits and berries. 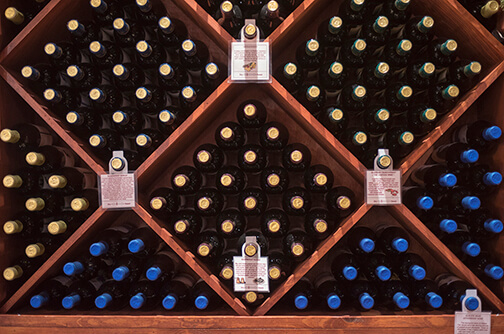 Our assortment of wines reside at the Bear Creek Winery and are available for you in the tasting room with up to 8 varietals to choose from. Glacier Bear Wines were introduced in 2015 as a sister brand to Bear Creek. The recipes for these varietals were developed by the Bear Creek founders’ son-in-law, who became head winemaker in 2013. We buy berries and fruit by the pound from our Alaskan community. The varieties that we buy are: red raspberries, yellow raspberries, blueberries, black currants, strawberries, gooseberries, apples, high bush cranberries, and rhubarb.